Dr. Sejal Mehta has been a fellowship trained, Triple board certified psychiatric physician, in private practice for the last 20 years. She has been honored to work with children, adolescents, adults, and senior adults at multiple psychiatric facilities in DFW helping community with mental health and chemical dependency. She is the president of Psychiatric Medical Associates in Plano, the Medical Director at Millwood Hospital in Arlington, and also works with Enterhealth Addiction Treatment Center north of McKinney. 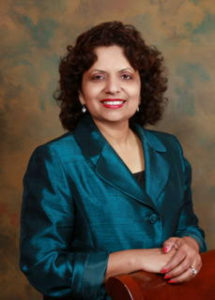 Dr. Mehta was born in Ahmadabad, India. She attended medical school in India. After getting married, she moved to the United States in the early 1990’s, where she did her residency and fellowship in Psychiatry and child psychiatry at the University of Kansas Medical Center, and where she went on to become board certified in child & adolescent psychiatry, adult psychiatry and addiction Medicine. After moving to DFW in 2004, she went on to earn her MBA from Southern Methodist University. She has been involved in clinical research and has been Primary Investigator for more than 20 clinical trials. -Also a member of TMA, AMA, APA, TSPP, AACAP, ABAM.